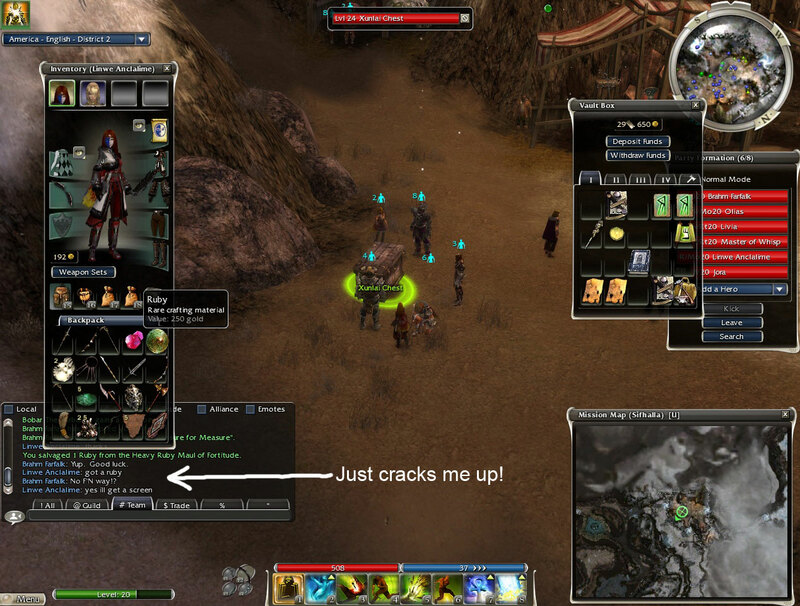 i was going through my screen shots of Guild Wars, I was bored. and i came across this one and it still cracks me up. ← There are a few disadvantages..
Well seems like you’ve been on a streak of average luck lately from what I’ve seen. Last couple days your drops have been as good as mine if not better while we’ve been partied up. well i dont expect this to last … haha .. its only a matter of time !